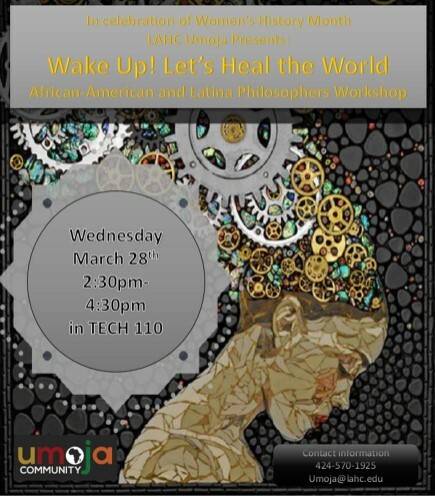 As we come to the conclusion of Women’s History Month, the UMOJA Program wants to provide another celebration with African -American and Latina Philosophers on campus. On Wednesday, March 28, 2018, in Tech 110, the speakers will be present from 2:30pm-4:30pm. For more information contact umoja@lahc.edu or call (424) 570-1925.